Danica Patrick's third place in the 2009 Indianapolis 500 remains the highest finish for a female in the famed race. 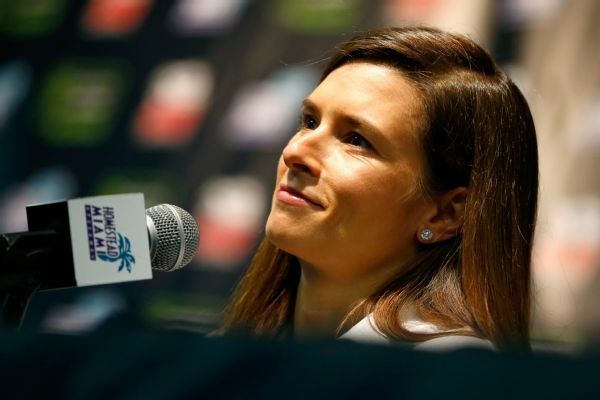 Danica Patrick will prepare to compete in the Indianapolis 500 by ... not preparing? Well, not exactly. But kind of. 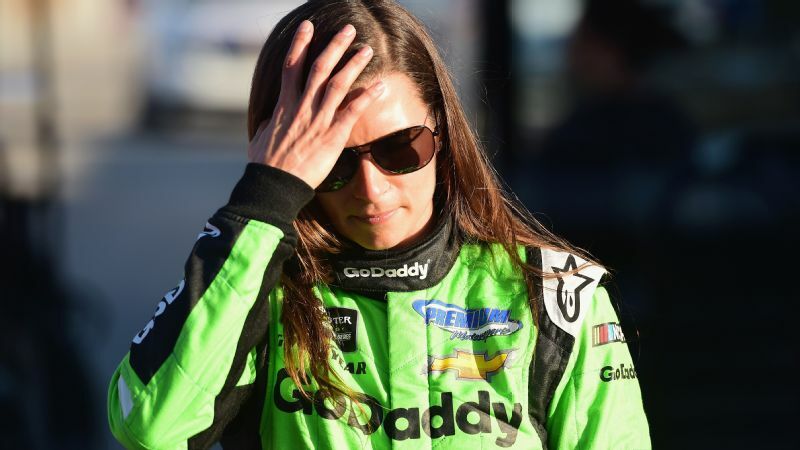 Patrick doesn't know how much she realistically can do to get ready for her final event as a race-car driver, which will come May 27 in the Indianapolis 500. 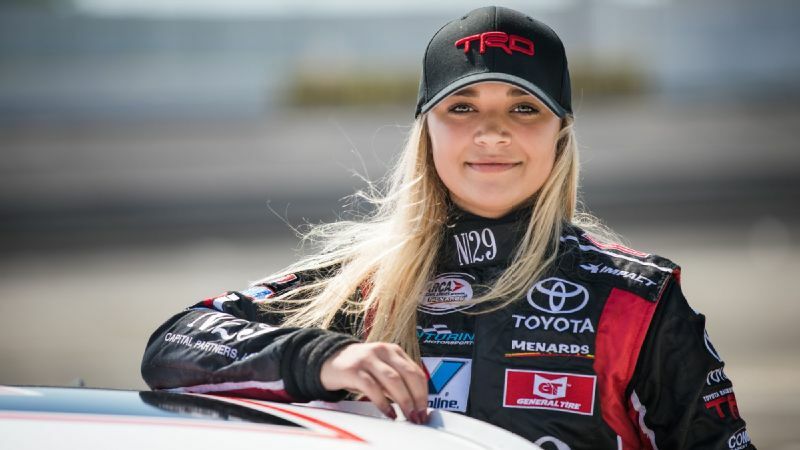 She has moved on from her NASCAR life and, just as she has done the past few months, will move at her own pace in a way she thinks will work for her as she prepares for a race at a track where she enjoyed some of her biggest moments that defined her career. Patrick, in talking to ESPN last week before the season-opening race at St. Petersburg, Florida, didn't plan to watch the race. She was scheduled to be on a flight. "I'm taking some trips, enjoying life and some freedom," she said. Danica Patrick led late the last time she ran the Indy 500, in 2011, but finished 10th because of fuel concerns. Patrick hasn't competed in IndyCar since 2011, but she said she doesn't know what she can do to prepare for the May 27 race other than a May 1-2 scheduled test (originally scheduled for March 28-29 but postponed because of weather) at Indianapolis Motor Speedway. She has competed in the Indianapolis 500 seven times, and she will rely on that experience to carry her through. "You know how this goes -- there's nothing that you can really do to prepare," Patrick said. "We have the test at the end of the month. Other than that and familiarization with the cockpit adjustments and steering that you want to have, you just have to feel it out. "You can't do that unless you're in the car." Some drivers would opt for simulation work. Not Patrick. "I never liked the simulator in NASCAR, so I'm not going to do it for IndyCar, either," Patrick said. "I know the track visually in my mind. I know all of it. ... Sometimes that's the best fit for [simulation] -- just for visual familiarization. "I don't see it as very realistic from a driver perspective. Last year, after I got in the simulator and then we went to Bristol [Tennessee, for the NASCAR race] and I was horrible and then we put a whole different setup on that didn't have anything that we learned in the simulator, I think I was in the top-10 or something in Bristol and I'm never very fast at Bristol." Some drivers would opt to hang out with the team they will run with to learn their personalities and inner workings of how it goes about a race. Not Patrick. "I don't think it would make a difference," Patrick said. "Other than just practicing [saying] oversteer, understeer versus tight, loose and push. I had to change my terminology. "I had to change for NASCAR, too, so it probably will feel like riding a bike." How about a different workout for IndyCar preparation? "I'm stronger now than when I drove IndyCar, so I think I'll be all right," she said. Patrick's attitude seems fine with IndyCar team owner Ed Carpenter, who also races. Carpenter said he looks forward to having Patrick in his three-car Indianapolis 500 stable. Patrick brings sponsorship from GoDaddy and a pedigree at Indianapolis that includes a third-place finish in 2009, the highest finish for a female in the event. Carpenter knows how to deliver good cars for Indianapolis -- he has sat on the pole twice for that race. 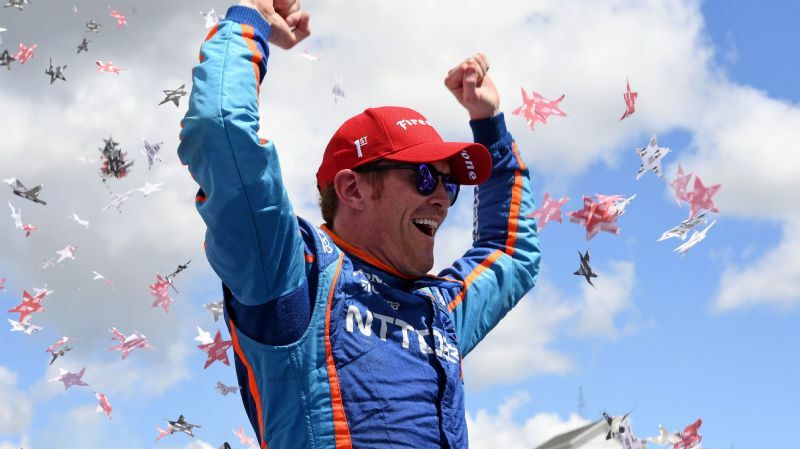 He believes Patrick will make a good transition to the current IndyCar, which is new for this season. 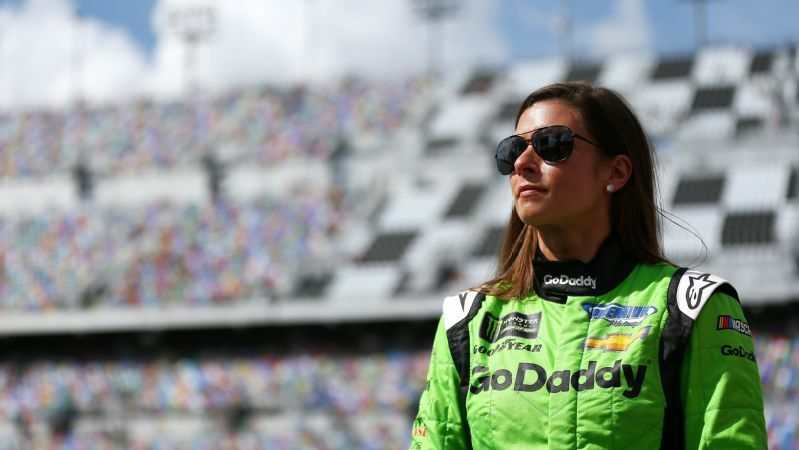 "After Danica moved to NASCAR, at IndyCar we were making more downforce than we had in years past than when she was here," Carpenter said. "I actually think the downforce will be more similar to when she left. It would have been a little bit bigger adjustment if she was making the move back to IndyCar last year relative to this year. "One thing that I am confident in, if we do a good job as a team and we've done good offseason work and we have good cars, it will feel like riding a bike to her. She always has been strong at Indianapolis." Carpenter won't encourage Patrick to do simulation if she doesn't believe in it. "We do a fair amount of work with simulation," Carpenter said. "It really helps some guys and gals, and others don't take to it as much. If it is something that we feel like is going to be productive, we would do it. If it is something that we don't feel like will be productive, we'll focus on other things." Patrick competing in the 2018 as the final race of her career will bring with it plenty of attention to the Ed Carpenter Racing team. The owner, stepson of former IndyCar boss Tony George, is fine with that. We have the test at the end of the month. Other than that and familiarization with the cockpit adjustments and steering that you want to have, you just have to feel it out. "There's going to be a lot of attention around it, but there's always a lot of attention on all of us in May," Carpenter said. "It's going to be a fun month." 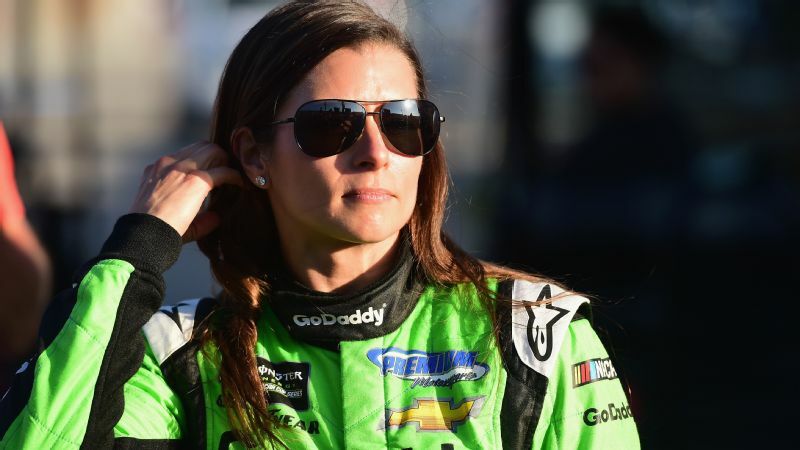 One of the reasons GoDaddy partnered with Patrick (other than their longstanding relationship) is that it can work with her to support her ventures outside of racing. It all fits with the goals for the sponsorship: Patrick can think about her winery, her fashion line and "Pretty Intense," her new book about dieting and mental focus. Patrick isn't studying film of past IndyCar races or Indianapolis 500s. She's out working with and promoting her businesses. "This is a great time for me to work on all the other businesses," Patrick said. "I'm working on [fashion line] Warrior, working on the website -- GoDaddy is helping me with that -- the wine and scheduling dinners and events and helping to promote that. "The book definitely requires consistent promotion, scheduling interviews and podcasts and doing events around that." Patrick hasn't watched a NASCAR race since the Daytona 500, in which she crashed (along with many others) in her final stock-car race. She said she would have no problem watching NASCAR races but has been busy with family and vacation. And, as one would expect, she hasn't dwelled on crashing in her final NASCAR race. "It was disappointing, but that's the risk of Daytona," Patrick said. "If I had just stayed in the race and stayed on the lead lap, I would have finished in the top 10. That's the risk of Daytona, is that it can go either way." At some point, it might hit her that her final race is approaching in little more than two months. She has started 115 career IndyCar races. She believes she knows how these things will work. And there is enough practice at Indianapolis to learn what she needs to know, or at least all she could. "I'm just nervous because I haven't been in the car in a while, and I hope to do really well because I was in that position before," Patrick said. "I'm most nervous it will take time to transition, but hopefully it will be quick and easy and I will stay comfortable and it will just be a matter of working on the balance of the car and hope there is some luck on your side." And hopefully a good memory of what 33 cars taking the green feels like at Indianapolis. "Nothing can prepare you for Turn 1, Lap 1, green flag and the turbulence and you feel like your car is floating," she said. "It is just the way it is."